Women in construction industry are very much in the minority, but could be a valuable source of much-needed skills. What are the possible reasons why most women are not considering a job in the construction industry? Mark Whitehead attended a round table discussion focusing on the issue and considering some solutions. As discussion began at the round table gathering being held in William Morris Gallery in Walthamstow, north east London, the point of the event was clearly summed up. 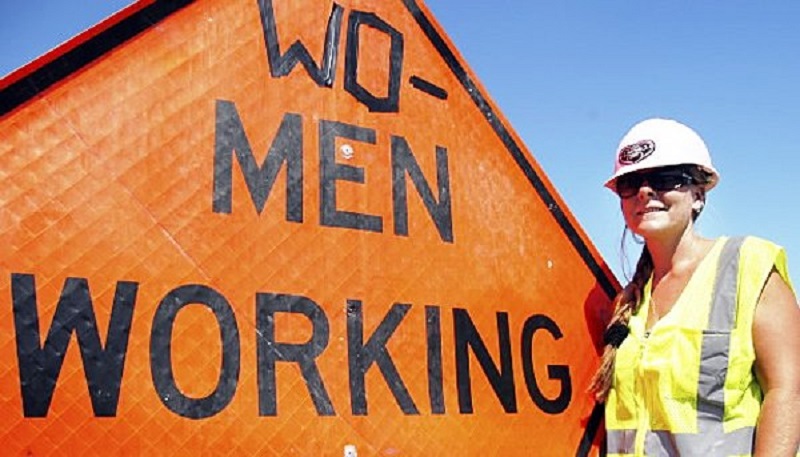 Why are there so few women in construction industry, and what can we do about it? Some figures emphasized the problem. Out of nearly 2.3m people employed in the industry, less than 13% are female and men earn on average £11,000 more than women in same roles. Given that scenario, it’s perhaps not surprising that only a small number of young women would consider a career in the industry. 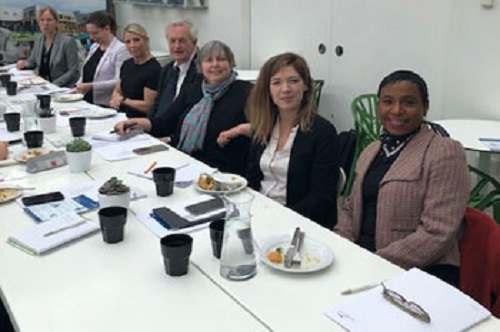 Participants at the event, titled Women in Construction, included representatives from the local Waltham Forest council, school and college leaders, industry executives and senior officers of professional bodies. These included the event’s sponsor, the multidisciplinary property services company NPS Group which delivers social infrastructure projects through joint ventures with local authorities and other public sector bodies. Several of those commented on the role of careers advice. Saying, ‘Girls do not consider the building trade because it has never been suggested to them.’. Participants agreed that, it is vital for work experience opportunities in construction to be offered to girls so that they can see for themselves what is involved. Construction industry often seen as dirty and dangerous, it needs rebranding, as suggested. In fact nowadays it involves a lot more than what takes place on building sites. Increasing complexity and the growing use of computer technology in a range of functions is altering the kinds of skills required. Like making many roles in the industry more potentially attractive to girls. Involving girls actively in the kind of roles needed in construction is vital and agreed by them. People from companies often go into schools to talk about their industries, but taking part in real work makes a difference. The round table was told of a visit to Finland where 12-13-year olds ran their own companies at an educational centre, carrying out all aspects of the operation and being responsible for the outcomes – and it was noticeable that girls were playing dominant roles. Apprenticeships’ set up is another potential barrier to girls and women entering the construction industry. They tend to be based on a full-time model and this makes them more restrictive. Not allowing part-time and flexible working women who are caring for children. Lack of flexibility also matter against adults taking up apprenticeships. A participant warned that, there is an actual age bias with apprenticeships which would discriminate against women with families to support. The discussion then took an important turn. We need to find out from girls themselves why most of them do not consider a career in construction. Was it because it is seen as male-dominated or because it is thought to be not flexible enough for family life? Discussion focused on the barriers to women reaching senior levels in the industry and the ‘old boys network’. Decisions made often by men while drinking or at the golf course. While women often find themselves with care responsibilities that makes socialising outside work hours difficult for them. Meaning, women arriving at a meeting well prepared, only to find decisions have already been made. Several participants agreed about a Voice coaching can make a huge difference to confidence if you learn how to project your voice properly. Someone also suggested that Assertive training had a role to play, ‘We have to be realistic’. For the time being the majority of people in the industry are men. We need more training and confidence building to help women get on while being true to themselves. A participant added a positive note, sometimes men in interviewing panels are keen to help women succeed. ‘As a woman on a shortlist you can be in a very good position’, she said. Still the picture is not always so encouraging. An incident in which a woman was interviewed and asked if she planned to have a baby. ‘It’s illegal, but it happens,’ the participants heard. 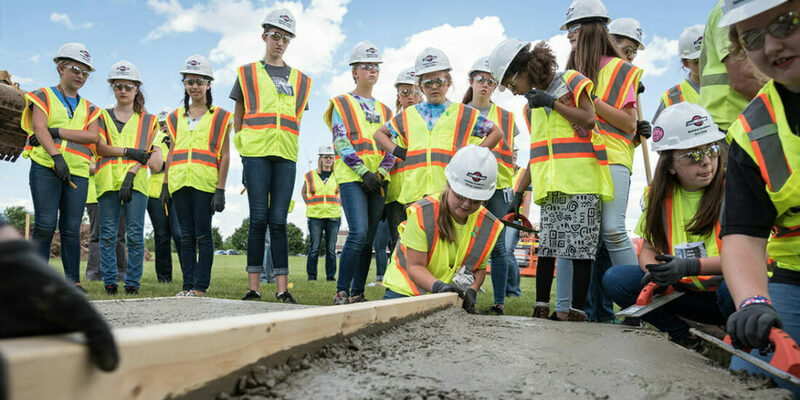 • set up a group of volunteers to visit schools and get girls more exposed to the construction industry. Mark Whitehead is an author at LocalGov, the UK's largest dedicated local government news website.